Now is the time to fully embrace our authentic selves with sincere integrity, and boldly step into our highest calling. This path to self mastery takes hard work - but it can also be playful - and it requires a deep level of inner game. Now is the time for activating high performance habits that raise the bar. The old patterns of negative self talk, blaming, excusing and justifying, are poor habits, best left to the past. We can learn from those lessons and apply them today. There’s something extraordinary that happens in our lives when we decide to let all the drama go and ask how we can be the embodiment of a positively influential role model again. In order to do this, we need to consistently choose to be more courageous instead of more comfortable. Fulfillment, happiness, success, and other peak states of being, can generally be measured by the number of uncomfortable conversations we choose to engage in, and by the number of uncomfortable actions we take. Anything less is only settling for fear, weakness, and mediocrity. Brené Brown is a woman who I find to be intelligent and wise in her message and leadership. She has the ability to share complex ideas in a simple and elegant way. Her heartfelt concepts are effectively provocative, and include key virtues like vulnerability, humility, courage and bravery. Inner strength, personal accountability, and a positive attitude of gratitude. This is what I want to share with you. To remind ourselves to role model the way to excellence through consistently being the embodiment of this message. The circumstances of life pose many challenges and tempt us into weakness. We are tested every day to make a choice: courage, or comfort. Know your value and worth. Radiate strength from your core. It’s our responsibility to take the initiative to hold ourselves personally accountable for our thoughts, words, and actions. That’s extreme ownership - and a self discipline that leads to all kinds of freedoms in life. Never complain. It’s just not cool. There’s an infinite quantity of phenomena for us to focus on and be grateful for. Besides, there’s always someone else who has things much worse off than we do anyway. Find the good in the bad. Turn a negative into a positive. Give thanks and serve someone. Society is saturated with low quality, underperforming standards. Complacency is contagious. So is courage. We all go through struggles and suffering. I honor that process and trust that we can transcend mediocrity, and manifest magnificence. 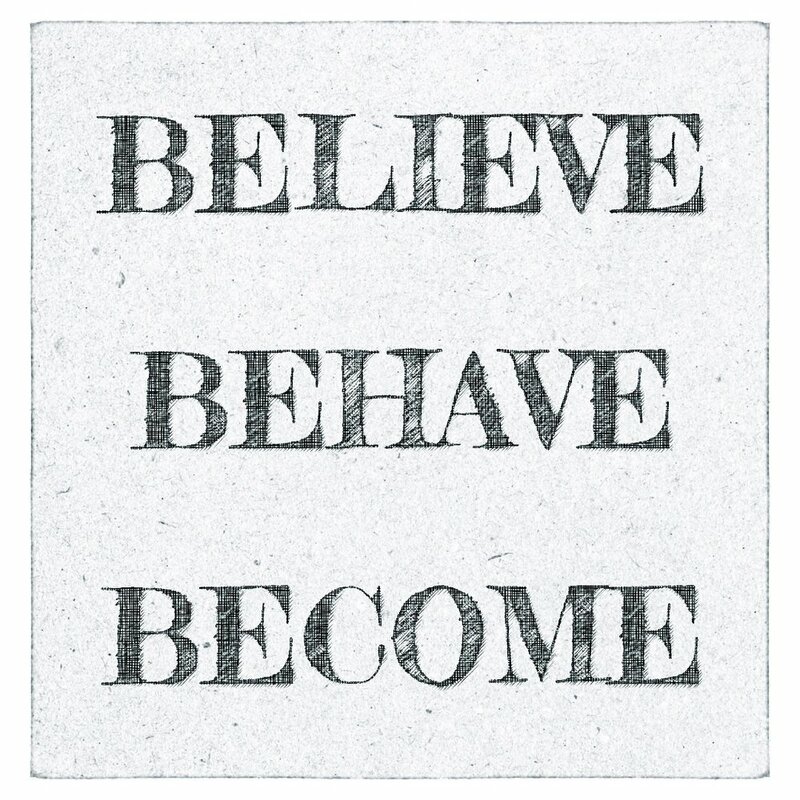 Believe, behave, become. You are worthy of so much more than tolerating toxic people and behaviors. Show me your friends and I’ll show you your future. Now is the time to level up our squad. And that starts with ourselves. If you find yourself, friends, family, or team, being weak, unaccountable, and complaining - I urge you to recognize these comfort seeking behaviors, and cultivate the courage to command strength, take accountability, and generate positive solutions to whatever situation. All these things are a primary part of my personal life path, and I'm learning how to integrate them as well. It helps to articulate these things and remind each other of their importance. To make "common sense" common practice. Life is precious. Now is the time to work and play on our deep inner game. May this serve you to effectively influence and lead others in your life in ways that are positively constructive and mutually beneficial. What strategies are you using that work for you? "Most people dread difficult conversations. I enjoy them. That’s why I became a coach. I love difficult conversations. I learn so much. I find so many avenues to help people. I see so much transformation. It’s through that struggle, strife and conflict that we might find the right thing for everybody. I love that participative process. Let’s do it. This is going to be great. Because, when I was young, I dreaded it, and that’s what led to bad relationships in my life. I dreaded having the conversation, so I gulped down what I needed. I didn’t share with other people what I really thought, what I really felt, what I really wanted of life, and so my life was caged.